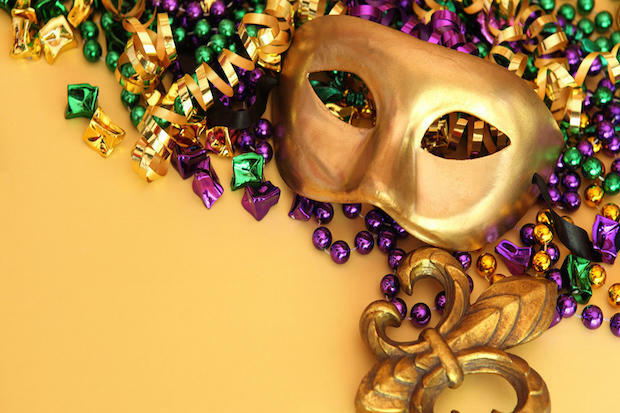 Laissez les bon temps rouler everyone! Happy Fat Tuesday! I have my Cajun Zydeco music playing right now and I have a big ol' pot of gumbo simmering away on the stove. Hurricanes later? Maybe. Not too many people know this about me, but I adore anything Cajun or Zydeco. I have ever since I first I saw "The Big Easy" when I was 17 and then bought the soundtrack ON CASSETTE TAPE. That was shoot...30 years ago. Dang! There's a part of me that still want's to learn how to play Zydeco music on an accordion, and I just might someday! I fantasize about moving to New Orleans; I just might do that someday too. 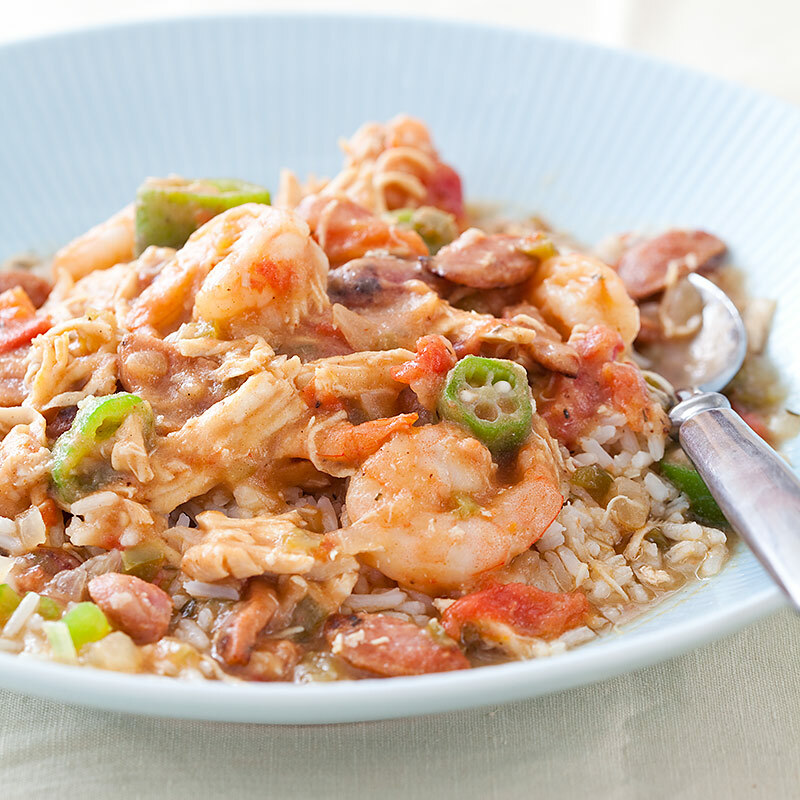 Anyway, if you are going to pass a good time today, you gotta have some gumbo! This is my most favorite recipe and it's a little of this, and a little of that I've gathered along the way. So gather up your holy trinity Cher, make some roux, and fais-do-do till this delicious gumbo is ready! To make the roux: Preheat the oven to 350°. In a heavy, cast-iron pot (Le Creuset or similar), start toasting the flour over medium heat, stirring constantly, just until the flour starts to turn dark blond. Take the pot off the heat and add the vegetable oil to the flour, whisk until smooth. Cover the pot and place in the oven to cook for 45 minutes. The roux should be the color of peanut butter, or even a little darker. To make the gumbo: Transfer pot to the stove (careful, it is HOT!) and over medium-high heat, add the onion, pepper, and celery. Cook, stirring frequently 8-10 minutes until the softened. Add the garlic, thyme, cayenne, Cajun seasoning, flour and cook until fragrant, about 1 minute. Add the tomatoes and their liquid and cook until dry, about 1 minute. Stir in the chicken broth and fish sauce. Season chicken thighs with pepper and add to the pot. Bring to a boil, then lower to a simmer and let simmer for 30-35 minutes, until chicken is cooked through. Remove chicken and cut meat off the bones into small, bite-sized pieces. Return chicken meat to pot & throw away the bones. Stir in sausage and okra and simmer 5 minutes. Add shrimp and simmer till cooked through and bright pink (frozen shrimp may take longer). If gumbo is too thick, add about 1/4 cup water. Season with salt or pepper. Serve with cooked, white rice.